1. To present something as a gift to. With a couple of upcoming weddings to attend, I find myself looking for great gift ideas for a couple of friends. I came across a collection of Silver-Plated Barware and I absolutely fell in love. 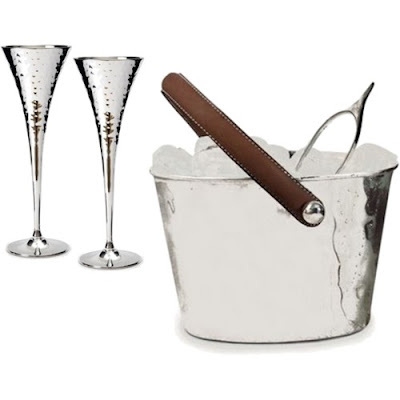 My favorites from the collection are the Silver-Plated Ice Bucket(pictured, top right) Silver-Plated Life Long Champagne Chalices (pictured, top left). 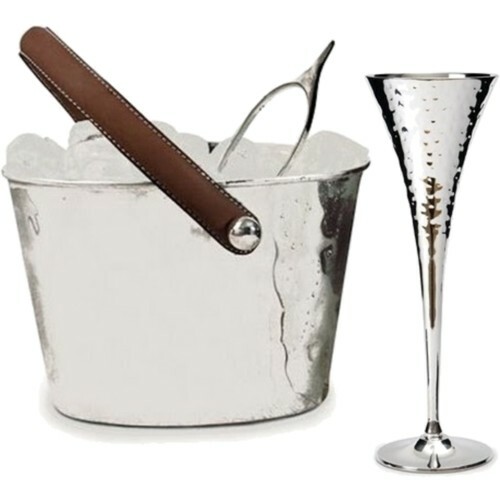 They give a modern, luxe and chic feeling to bar ware , and I think these bar accessories are perfect for young newlyweds. Also perfect gifts to bring to the Party Host(Hostess) , the next time you attend a intimate gathering. 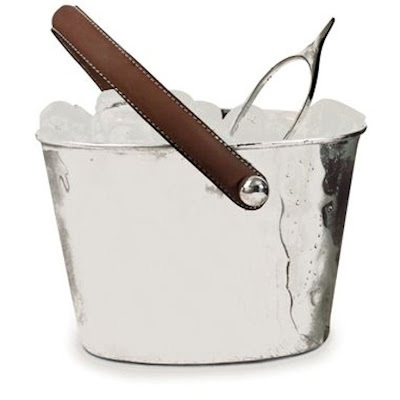 The Silver-Plated Ice Bucket- made of hammered silver plate with a hard wearing leather strap, is said to be a perfect gift for newly engaged couples. 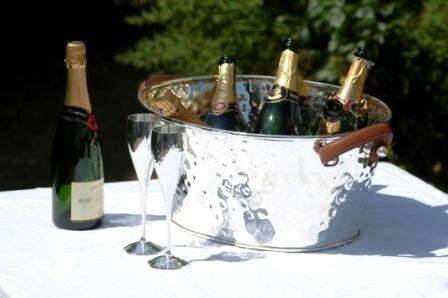 While the Silver-Plated Life Long Champagne Chalices (set of two) are made from hammered silver plate to keep contents ultra cool. 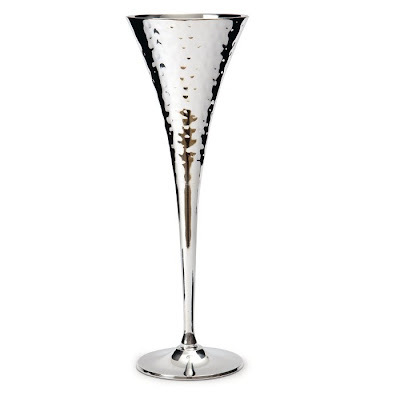 The Silver add a sparkle factor to drinking Champagne - great for drinking out of during the holidays. Considered to be a gift for life - since the chalices will not break and will last a lifetime.I think its only fitting to gift a newlywed couple these chic chalices. The couple can then add on to the set themselves with other Silver Bar Accessories.